In a world where free will and freedom of choice is chanted everywhere; the increasing awareness of human rights has now made people little aware than before! Agreeing to disagree and co-existing without putting down your choice of opinion is everyone’s right. There’s nothing wrong if a person disagrees with the cultural norms and opinions, and yes disagreeing never mean disrespect! However, this incident that happened in India, last Sunday shocked so many people that it almost created a chaos. All four cops, including lady constable and Homeguard, were suspended! After a vast majority of Indian journalist created enough noise to be heard! 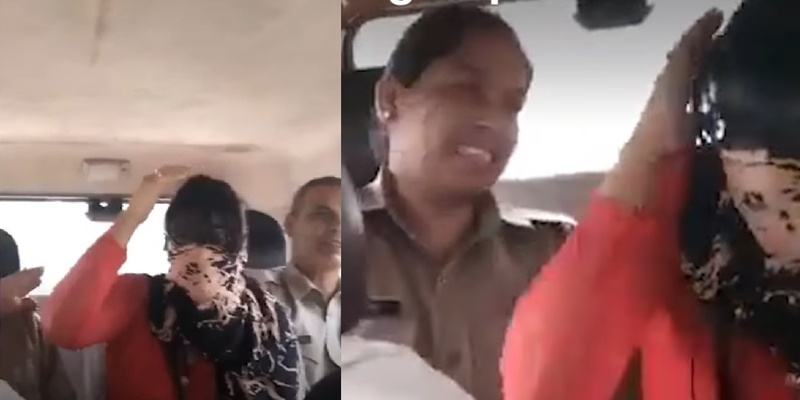 A disturbing video has gone viral in India showing police beating a woman for allegedly having a relationship with a Muslim man.Three officers have now been suspended. The girl was harassed and tortured, beaten up by the police. She was only freed by the police upon the arrival of her parents. The extremism of UP police is completely condemnable.